Michael joined Clerksroom in March 2018 after having spent 7 years as a solicitor (the last year as a Solicitor-Advocate). During his time as a Solicitor, Michael was head of clinical negligence and a director at Carter Moore Solicitors with specific responsibility for client acquisition. He transferred to the Bar in 2017 and enjoys a general civil practice, with particular emphasis on clinical negligence, personal injury and media law (music). He is based in Manchester and is happy to travel nationwide. • A&E misdiagnosis and failure to treat. Michael’s practice includes all RTA personal injury work, (particularly cyclist claimants, being a keen cyclist himself), dealing with Advice on liability, quantum (including, loss of earnings, care and infant settlement) and evidence; drafting of pleadings; Part 18 Requests for Further Information and Part 35 Questions to Experts. • Stationary motorist opens passenger or driver side door into path of oncoming cyclist. • Import issues and how to avoid product liability claims post Brexit. Michael is not afraid to champion those claimants who have been wronged by professionals who hold themselves out to offer a minimum standard of specific professional services. In 2014, Michael brought a claim against former MMR vaccine claimant solicitors in a case which lead to him being featured on the front page of the Times newspaper and in the online pages of the Guardian and the Law Gazette. Michael has successfully fought and won several professional negligence claims in the following areas. • Financial advice given without correct registration. Michael is a keen musician and has shared the stage with such creative giants as the mighty Fairport Convention with his band. During his music career he has established many useful media industry contacts and has a relatively new but growing practice. I instructed Mike on a complicated public liability matter. I was impressed by his down to earth nature and the effortless way he was able put my client at her ease in conference. At trial his cross examination of the Defendant’s main expert witness was, by all accounts exceptional, and won the day for our case. 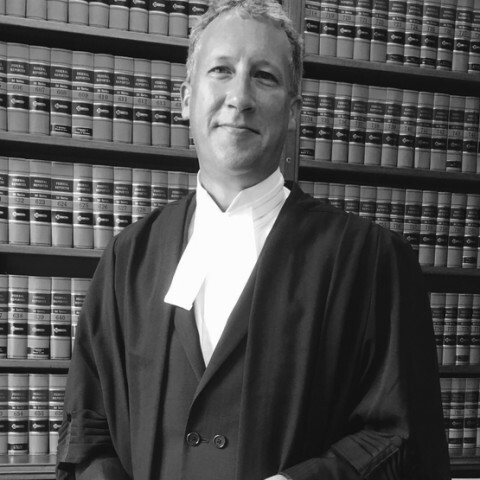 The judge singled out their witness for specific criticism as a result of the flaws in his evidence; flaws which I’m sure would not have come out but for Mike’s advocacy skills I would have no hesitation in recommending him to other instructing solicitors and I will be instructing him regularly in the future. Throughout the whole procedure my case against ******* ******* NHS Trust was carried out in a very professional manner...The service and advice was first class and I would like to thank Michael [Shaw]for all the effort he took to give me the best advice. The complete service was great! You [Michael Shaw] handled everything very professionally and negotiated to my best interests. You were prompt and sympathetic to all my queries which was so helpful at such a stressful time. I am most grateful and would have no hesitation in recommending you. I am very grateful for the help and support that was available. I am grateful to Michael [Shaw] for taking the time to trace the driver and checking for CCTV footage in the area and grateful to him for keeping me up to date with the final process. Excellent service from Michael [Shaw] and fast access via the phone. Thank you for your work and support. Thank you very much [Michael Shaw] for professional service. Great communication keeping you updated to whatever stage your case is in. I would recommend your services to any friend that needs them. Thank you once again. I write to thank you [Michael Shaw] for the quick and efficient way that you have handled my personal injury case. I had instructed another firm previously and I was told by many of my friends that this case would not be resolved because it had been too long since the accident but you have completely turned that on it's head. Thank you. Right from the beginning of the process Michael [Shaw] explained everything very clearly and always kept me up to date. In addition he was easy to contact throughout the case. I felt that the compensation payout that I received was more than sufficient to cover the injuries I received. I can confirm that Michael [Shaw] acted thoroughly professionally thoughout while pursuing my personal injury case. Every time I spoke to him on the phone I found him to be impeccable, courteous and he left me at ease knowing that my case was being handled expertly. I would not think twice about using him the future. Michael [Shaw] has always communicated in a positive and supportive manner. I felt customer service and satisfaction was paramount and proactivity was key. Thank you so much. I would not hesitate to recommend you [Michael Shaw] to my fellow equity members. Thank you for your support during a difficult 2 years. [Michael Shaw was] extremely professional, tenacious and very clear communication. Won my case when others had given up. Highly recommended. Thanks very much. Because of my residual stroke damage I sometimes have difficulty communicating verbally when under pressure. I found my dealings with Michael [Shaw] to be exemplary in the extreme. He dealt with me sensitively and efficiently at all times, resulting in a successful resolution of my case. Thank you so much. ([Michael Shaw was] very professional and efficient at all times. Dealing with him by phone or letter was very good. “Michael (Shaw)was professional, friendly, informative and responsive at every point of the process. I have been fully involved throughout and made to feel that my views and opinions were valued. I am extremely impressed. Thank you very much. Outside of these key areas of law, Michael Shaw (2017) is always willing to consider any enquiry requiring the experience or knowledge needed to help you or your client. Please call Michael direct or the support team on 01823 247 247 if you would like to discuss any aspect of this profile.